This PDF component helps you work with PDF documents programmatically in your .NET applications. 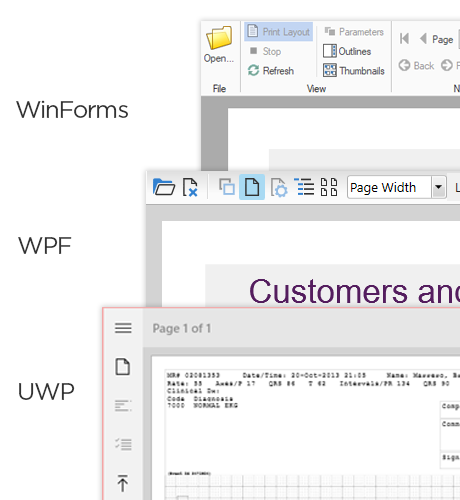 PDFDocumentSource acts as a key component to load and view your PDFs in FlexViewer, a cross-platform viewer that can load report and document types like FlexReport, C1Report, PDF and SSRS (WinForms, WPF, ASP.NET MVC) Documents. Export and print documents from viewer.